In Part 1 of this multipart Cheat Sheet series, we gave you an introduction to Distributor Connect—the exclusive networking event that brings together top-selling distributors with up to 25 well-known print and promotional product suppliers for unprecedented business opportunities. If you missed it, check it out here. Now that you know what Distributor Connect events are, it’s time to move on to meatier topics, like getting the maximum value from your supplier meetings. Even if you’ve already been lucky enough to attend a Distributor Connect before, there may still be some helpful advice for your next meeting, so be sure to read the full list. Here are three of our best tips—complete with commentary from past attendees. Let us know if we missed anything! In preparation of these meetings, each supplier has researched and prepared for each individual distributor to make the most of those 20 minutes—whether that’s creating spec samples with your company logo, or expanding on solutions tailored for your company. (Try getting that personalized attention at an industry trade show!) So, why wouldn’t you show the same courtesy? Not to mention, we pack a lot into these two-and-a-half business days, leaving little room for spontaneity. The plan that we talked about above? That’s sure to come in handy—as is a receptive attitude. You may have a set list of suppliers you’re most excited to meet with, but don’t discount the rest. They’re ready to show you how their product line can ease your customers’ pain points, and just may have solutions that you haven’t even thought of yet. 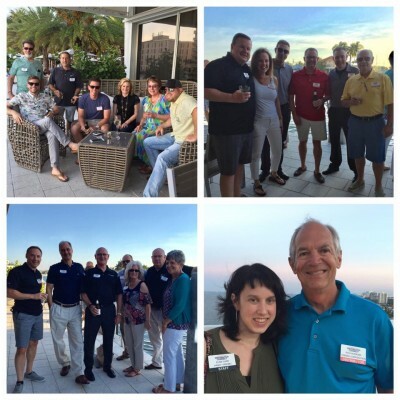 Distributor Connect events include additional networking opportunities beyond the meetings. We’ve built time into the busy schedule for breakfast, lunch and offsite dinners at beautiful venues (and the food is delicious, too!). Nov. 7-9, 2018 – Scottsdale, Ariz. If you are interested in attending an upcoming Distributor Connect, contact Mike Cooper or Renee Brueggeman via email at distributorconnect@napco.com, or call Cooper at (215) 238-5434 and Brueggeman at (920) 716-3713. Complete the Distributor Connect inquiry questionnaire located here. For event information and testimonials, visit connect.goprintandpromo.com.